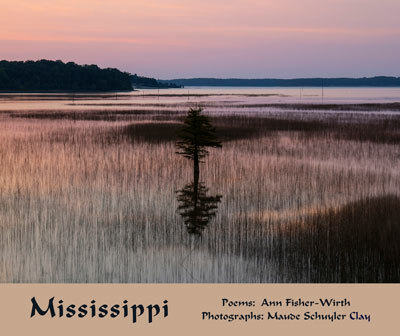 In an unforgettable partnership, BEI Fellow Ann Fisher-Wirth and photographer Maude Schuyler Clay have collaborated on MISSISSIPPI, a gorgeous new book that offers a new spirit of place for their home state. The book features 47 poems by Ann Fisher-Wirth and 47 color photographs by Maude Schuyler Clay that explore the history, culture, and ecology of the state of Mississippi.Clay is a seventh-generation Mississippian; Fisher-Wirth has lived here for 30 years, so the images and words represent long, complicated accumulations and recombinations of visual and linguistic experience. The launch reading is February 6, 5 p.m., at OffSquare Books in Oxford, MS. And there will be cake. Come on out to join in the reading, talking, and signing.